I love the Mediterranean. The land, the people, the food. Oh the food. 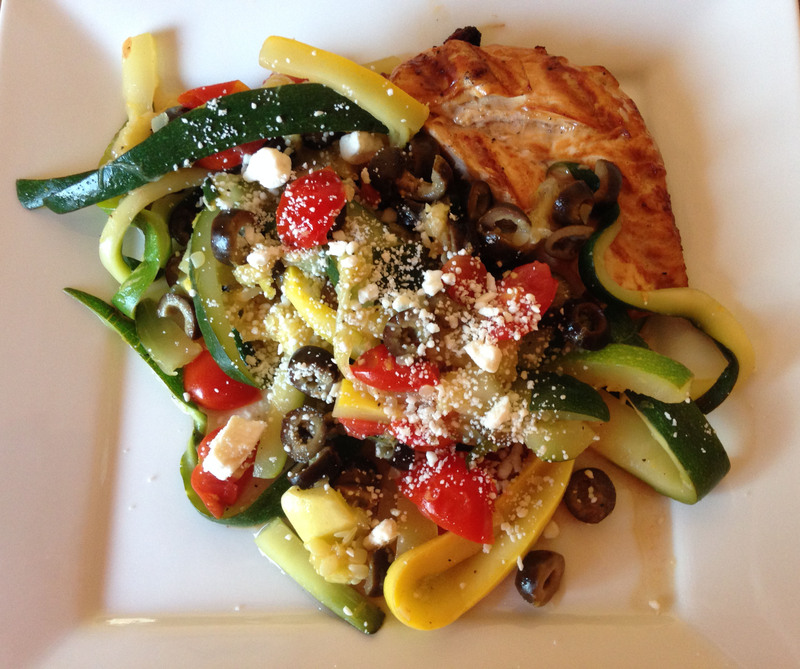 Being part of a big Mediterranean family introduced me to a whole new world of cuisine possibilities. So you’ll find me cooking a lot of Mediterranean meals around here. Good thing it’s one of the healthiest diets out there, focusing on vegetables, whole grains, legumes, nuts, healthy oils, herbs and spices. Thankfully these meals are easy to customize, especially now that I have officially started fodmapping, as I now like to call it. 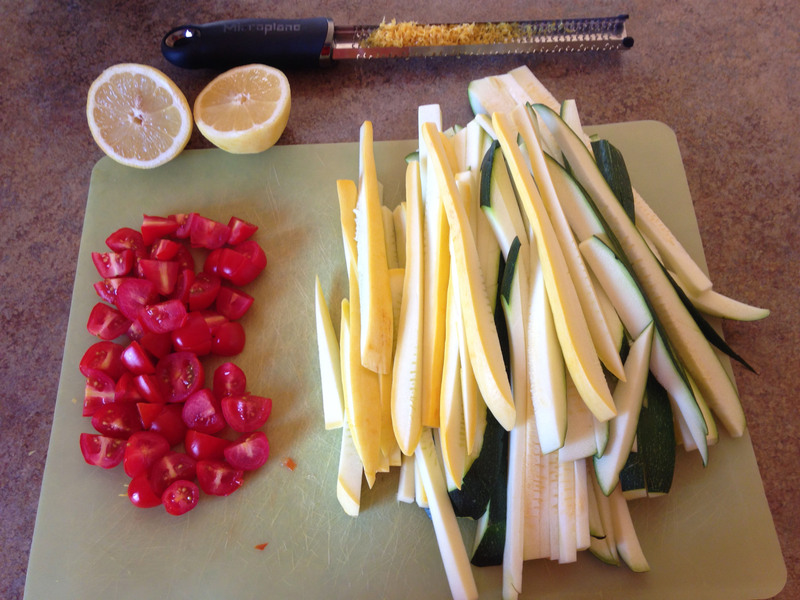 And I have a feeling there will be many more upcoming posts as I create my low-fodmap meal plan. 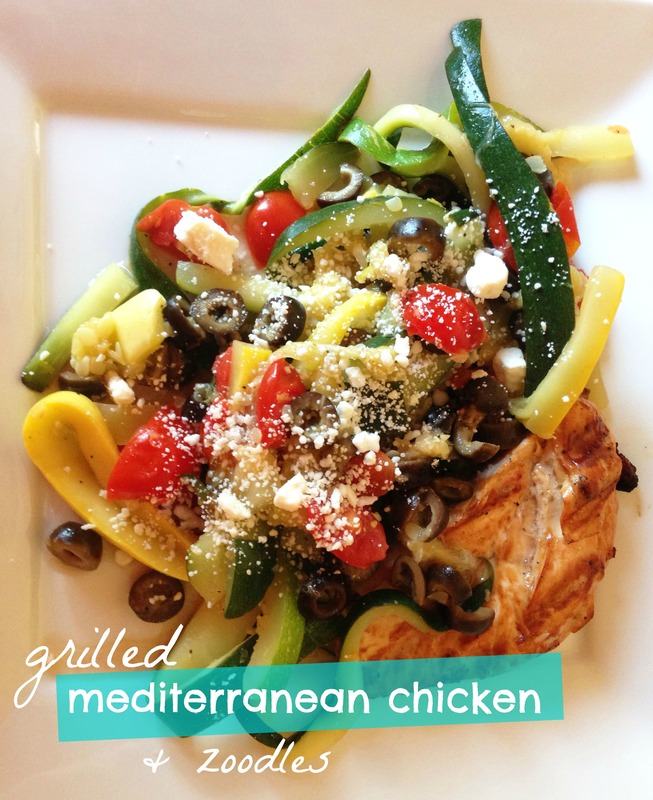 This meal is easy and fast with little prep work! My style of a weeknight dinner. For my fellow fodmap friends, just omit the onions and garlic (or substitute 1 tsp of garlic infused oil) and wa-la! Another recipe to add to the collection. 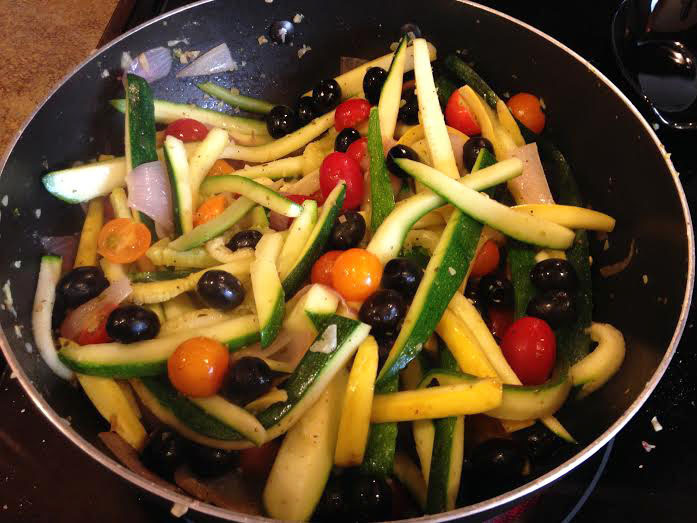 Note about this recipe: zucchini and squash release a lot of water when cooked so vegetables may have excess liquid. Just drain liquid before adding lemon juice and zest. Also beware if vegetables are overcooked they can get a bit “soupy” so just watch ’em close! 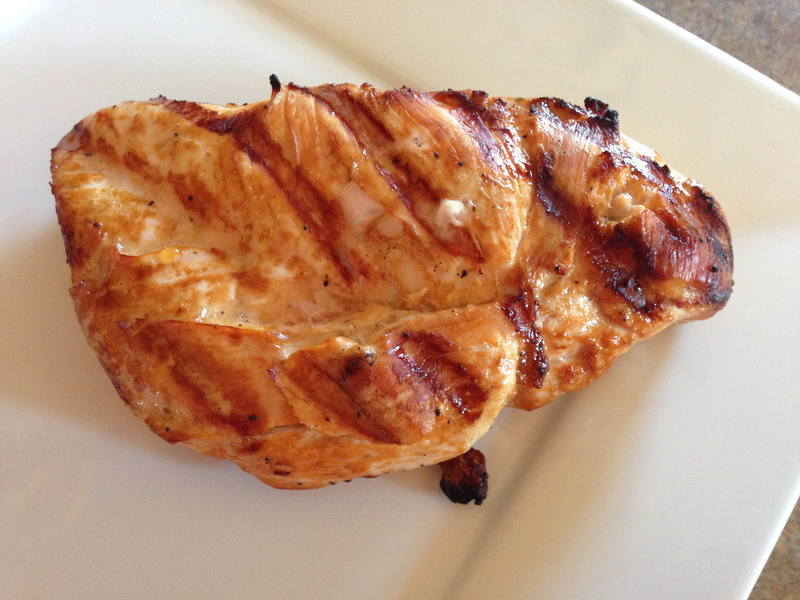 Combine thawed chicken breasts and marinade juices (enough to cover the chicken) in a large zip lock bag. Seal and refrigerate for at least 1 hour or up to 4 hours. Warm a covered dish in the oven. Get your gas grill really hot and clean off any previous residue from last night’s dinner. 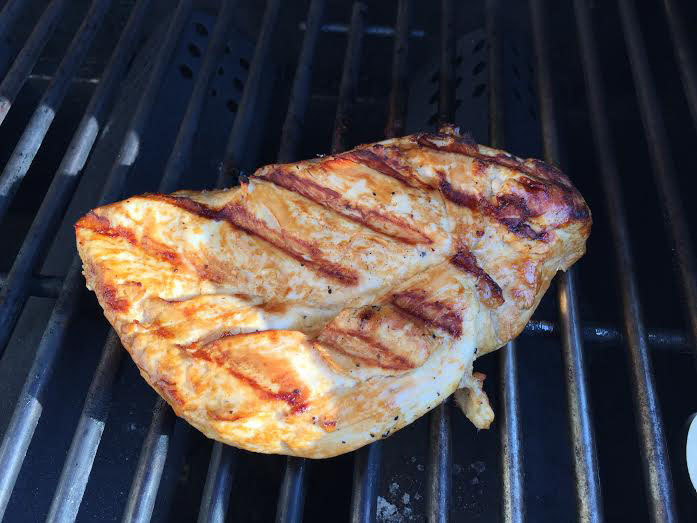 Grill chicken on medium-high heat for 5 minutes on each side, flipping only once in between. Discard marinade juices. Grill chicken until it is cooked through or reaches inside temperature of 160 F. Set chicken aside in a warm covered dish until vegetables are ready. Meanwhile, heat a large non stick skillet on medium-high heat. Add olive oil and onion, sautéing for 1 minute. Add garlic and cook for another minute. 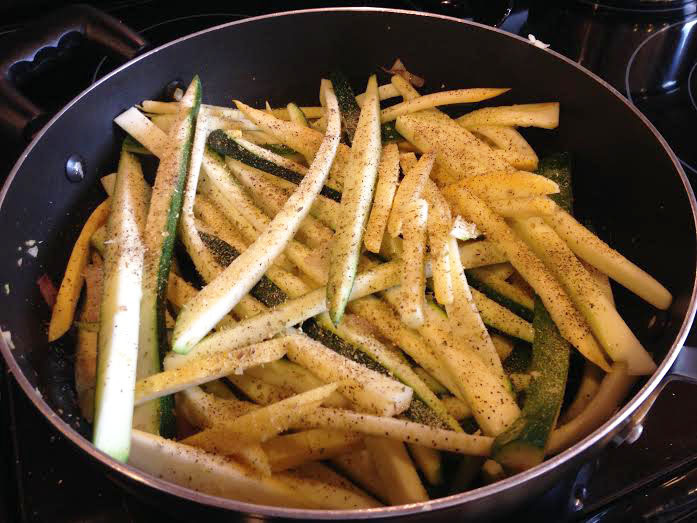 Add zucchini, squash, salt, and pepper to pan and sauté until almost tender, about 3-4 minutes, stirring often. Throw in tomatoes and olives at the end to warm, about 1 minute. Adjust spices. 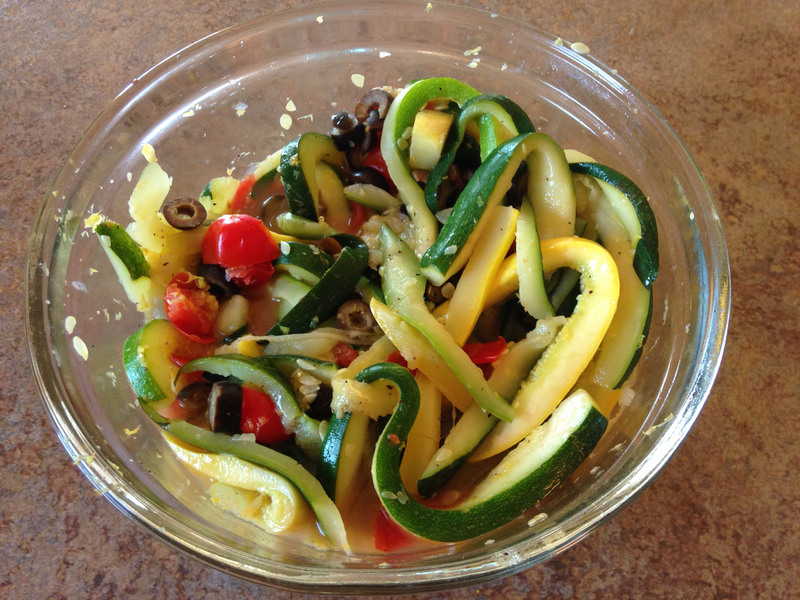 Remove vegetables and place in a large bowl with lemon zest. Add the juice from both lemons, mix together and serve over chicken, topping with feta cheese. Serve with brown rice (or couscous) or enjoy without a grain!